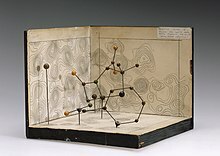 Ceimicí Sasanach a rugadh i gCaireo na hÉigipte ab ea Dorothy Mary Hodgkin (née Crowfoot) (12 Bealtaine 1910 – 29 Iúil 1994). Le criostalagrafaíocht X-ghathach, rinne sí struchtúr móilíní ar leith amach, ina measc peinicillin, inslin is vitimín B12. Bhuaigh sí Duais Nobel na Ceimice i 1964 as. Tugadh an leathanach seo cothrom le dáta an 15 Deireadh Fómhair 2016 ag 12:49.